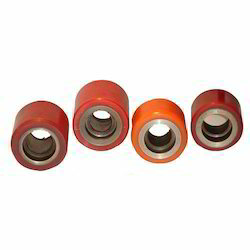 Offering you a complete choice of products which include pallet truck wheels, uhmw roller, moldon polyurethane tired wheels, polyurethane load wheels and cast iron wheels. We are dedicatedly engaged in manufacturing and exporting a unique range of Pallet Truck Steer Wheels (Series 903 - UHWM Steer Wheel) to our prestigious clients. They are available in wide variety of sizes and its bore size can also be increased or decreased as per the requirement of the clients. 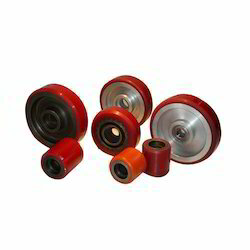 It is presented in different colors and specifications and is widely used in mills and industries for grinding purpose. We manufacture and supply highly efficient UHMW Rollers. Sophisticated technology is used to make these supreme quality rollers one of the strongest and durable rollers available in the market. Made from highest quality material, these weights are available in 2 to 12 diameter in various widths and colors. We can provide customer’s with increased or decreased hub widths and sizes, according to their own specific requirements. 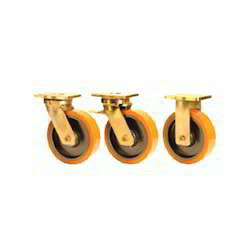 Ours roller are one of the most cost effective and durable rollers. We manufacture and supply a wide range of Moldon Polyurethane Tired Wheels (Series 753 - Polyurethane On Aluminium Wheels), which is fabricated from superior quality of raw materials. The product is appreciated for its durability, reliability and specific I Shaped AL Core. To maintain our lead in production of flawless wheels, we use stringent quality tests in our state of the art production units. These are available in competitive price and various models. 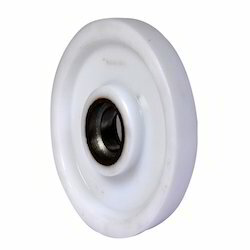 Our company has a lot of expertise in manufacturing a rich assortment of Polyurethane Load Wheel (Series 754 - Polyurethane On Aluminium Roller) that are being demanded by domestic as well as overseas clients. We are applying quality raw materials and latest technology in manufacturing out products. They are corrosion resistant and remain as it is for a long time. 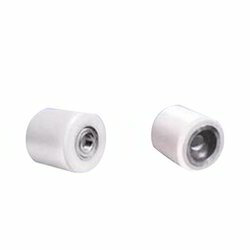 You can purchase our Load Wheel (Series 754 - Polyurethane On Aluminium Roller) at a very affordable cost. We manufacture a qualitative rang of Cast Iron Wheels, which are used for various applications of high temperature. These products are mostly used in ovens, foundries and many more and are free from the blow holes. Our products are manufactured using high quality raw materials obtained from the reliable vendors. We offer these products in different specifications in terms of shapes, sizes and designs and are known for their high strength.